Do you trust your partner? What does it mean to trust? How do you know if you trust him or not? Trust is the essence of any relationship – it's impossible to relate to another human being without trust. It's also impossible to relate to another person without trusting yourself and indeed the Universe! In ten years of love coaching, nationally and internationally, the number one complaint I've received from men about their counterparts is 'she just doesn't trust me'. It hurts men to know his partner doesn't trust him. What's worse is his partner's lack of trust is the VERY thing that often sets off a chain reaction – he becomes an untrustworthy partner!! This course will also address how to regain trust after an incident that might have caused you pain. We will discuss buidling a trusting relationship that will last the test of time. We do not believe trust must be earned, we believe trust must be given! When women give respect and trust, they receive trustworthy behavior! But how is this accomplished after painful experiences? This course will give exercises, take home meditations, and processing to help! Is it a woman's fault that her man becomes untrustworthy, lies, cheats or otherwise betrays her in a relationship? Well, that depends on how you see the process of creating reality!! Lack of trust in a relationship is no one's fault. But it is your responsibility to create trust. We will show you just how clear cut this process can be! 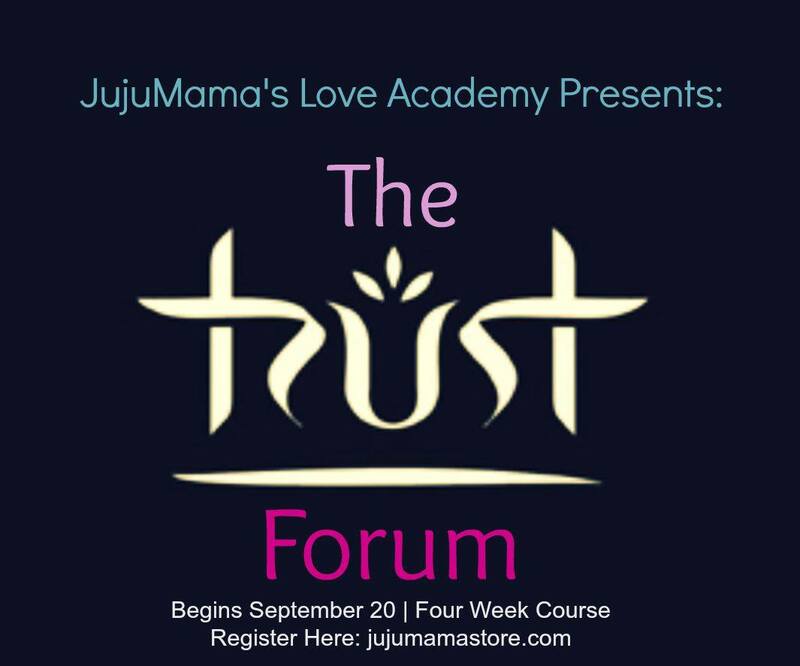 The Trust Forum is a course designed to lead you into deep trust of the masculine. The course includes lecture, processing, group sharing, self tests, homework and meditation/ceremony. Kenya is an author, blogger, love coach and wife of 20 years. Kenya holds several relationships as she practices the spiritual art of polyamory. She is also raising three teenage children in the beautiful mountains of Asheville, North Carolina. Kenya has been coaching for ten years and is currently sharing information for the new paradigm woman, she calls them Progressive Women! Kenya is excited to share information that will completely shift your reality and bring the power that is wihtin you to the surface! Find out more about Kenya and her years of work in the field of love and relationships at jujumamablog.com.